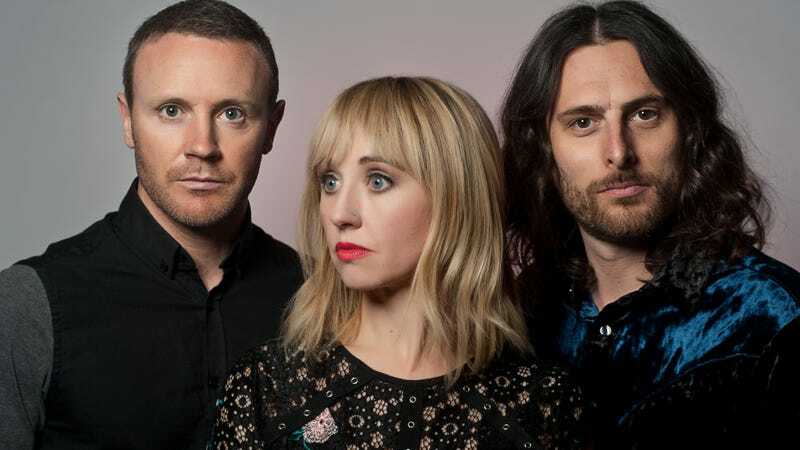 It’s been richly rewarding for fans of Welsh rock band The Joy Formidable to see the group evolve from album to album. For most, that journey began in 2011 with debut album The Big Roar (though prior EP A Balloon Called Moaning is now available to U.S. audiences on Spotify), a record that lived up to its title via arena-ready riffs, fist-pumping anthems, and an affecting emotional through-line that leant an aura of intimacy to the larger-than-life sound. Two years later, the band delved into more complex song arrangements on Wolf’s Law, while singer-guitarist Ritzy Bryan’s vocals seemed to occupy a more confident, central place in the music. (As she put it in an interview with The A.V. Club at the time, the “sheer amount of playing” together they’d done since the first release tightened their musical chops considerably.) And while 2016’s Hitch was an arduously conceived attempt to capture the band’s electric live sound, the latest release is an even more ambitious effort. Aaarth, the fourth LP from The Joy Formidable, contains the widest-ranging and most exploratory music the group has yet created, and it’s available to stream in its entirety today, exclusively at The A.V. Club. From the pulsing electronics and Rage Against The Machine riffing of album opener “Y Bluen Eira (The Snowflake)” to the slow-and-steady build of mid-album anthem “All In All,” these songs find the band incorporating a vast new set of influences. Constructed in their newly relocated home in the American Southwest and on tour in hotel rooms throughout the world, the band members have channeled a bevy of eclectic sounds into this release, and in the process redefined what a Joy Formidable album can sound like. Aaarth is available to pre-order now.